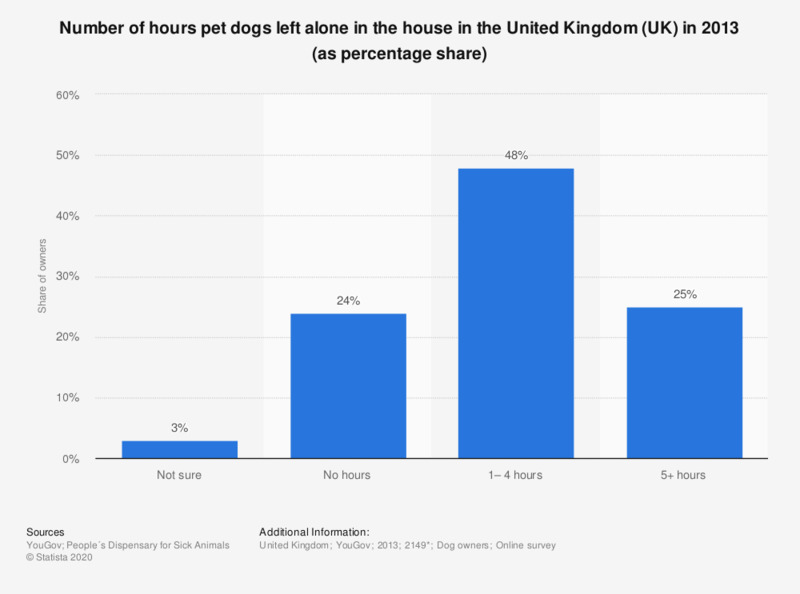 This survey shows the number of hours dog owners leave their dog alone in the house for during a weekday in the United Kingdom in 2013. Of respondents, a quarter left their dog at home alone for 5 or more hours. Would you be willing to pay more for products from farms that respect animal welfare?